Maine is a great place to live, work and play and we would like to invite you to find a property, either a business for sale, a summer home or winter get-a-way or a year round residence, and come enjoy what Mainer's have always known - The Way Life Should Be! The map below will give you an indication as to where in the state each county is located as well as a representation of size in comparison to other counties. 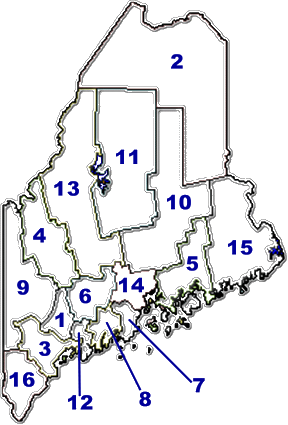 When you have decided on where in Maine you would like to relocate, choose a county from the menu and click continue to find an agent to represent you. There are currently 557 Appraisers listed in our database in the 16 Maine counties below.